Bill Bretschneider is Special Counsel with Silicon Valley Law Group. As a Member of firm's Corporate & Securities and Intellectual Property practice groups, Bill’s practice focuses on corporate/business formation and governance, mergers and acquisitions, strategic alliances and joint ventures, private placements, and corporate finance, as well as commercial and intellectual property transactions, including technology licensing, copyright and trademark registration and licensing, and strategic intellectual property counseling. Bill also focuses on a full-range of franchisor/franchisee relationship transactions and counseling. 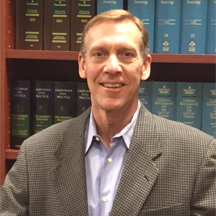 Bill serves as Outside General Counsel for multiple local technology and start-up businesses. Prior to joining Silicon Valley Law Group, Bill was Senior Corporate Counsel at Marimba, Inc., a publicly traded enterprise software company, and Corporate Counsel and Vice President of Affiliate Services at Muzak LLC, a leading provider of business music, voice and media services. At Muzak, in addition to handling a full range of in-house legal responsibilities, Bill oversaw Muzak’s domestic and international franchise operations. Early in his career, Bill was a corporate and intellectual property litigator at Skjerven, Morrill, MacPherson, Franklin & Friel and at Hoge Fenton Jones & Appel, Inc. in San Jose. Guest lecturer on Legal Issues for Entrepreneurs at Santa Clara University, Leavy School of Business. Bill is an active U.S. Masters swimmer, and a proud father of two wonderfully talented children who are both attending school out of state. Bill is a former member of the Board of Directors of SwimMAC Carolina, one of the largest and most successful USA Swimming member clubs.